At Friendship Circle of Brooklyn, Zumba is the young adult division’s most highly anticipated event of the week. With Zumba classes taking place on Motzei Shabbos winter nights, the evening never seems to last long enough! In celebration of six years of Zumba, participants of the program showed off their moves at a marvelous Zumba Recital. Under the direction of Chana Faygen and Zumba instructor Numi Perla, the girls gathered every week for sixty minutes of ‘non-stop’ dance and exercise. 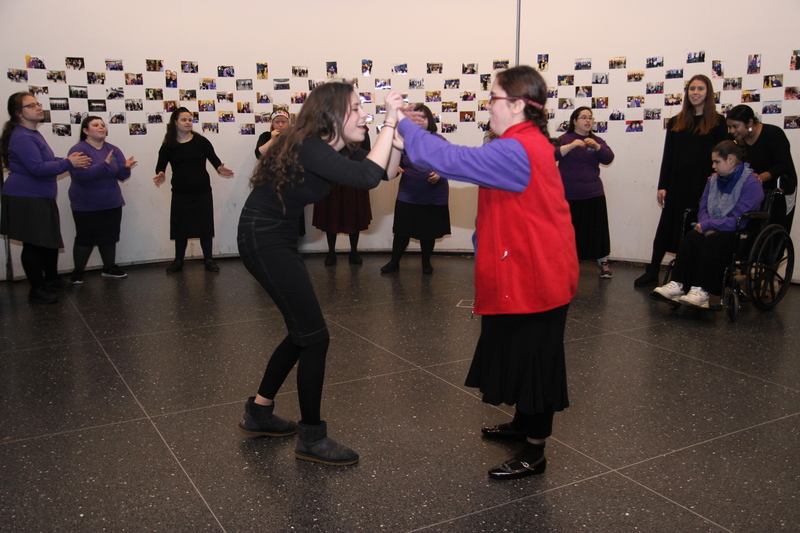 The 10-week program culminated in a mother-daughter recital and Melava Malka. The evening began with a performance of their rehearsed songs and dances. Then, everyone tried to follow along as each girl got the chance to show off her own freestyle dance moves! It was a remarkable moment, watching the girls in action and getting their time to shine in the spotlight! When everyone sat down to catch up over a delicious Milchig buffet, a video presentation, showing photos and videos of Zumba throughout the years, was shown. Rabbi Berel Majesky, director of the Friendship Circle, shared some inspirational words. A beautiful gift was presented to Numi Perla as thanks for her years of dedication to Friendship Circle of Brooklyn. We’re already counting down the days until next year’s Zumba! Special thanks to Rochel Karp and Sheina Chincholker for their help in making this event happen.